2016 Cadillac CT6 Platinum review | What Car? Cadillac is the United States’ answer to Audi, BMW and Mercedes-Benz. Curiously, despite being an evocative marque and having success elsewhere, Cadillac has never been popular in the UK. The luxury brand, owned by General Motors - which also owns Vauxhall - is now attempting another relaunch in Europe and the UK. Cadillac will initially launch luxurious, high-performance petrol-powered models, in order to raise awareness of the brand, ahead of a push towards smaller diesel-powered models with right-hand drive in the future if all goes to plan. 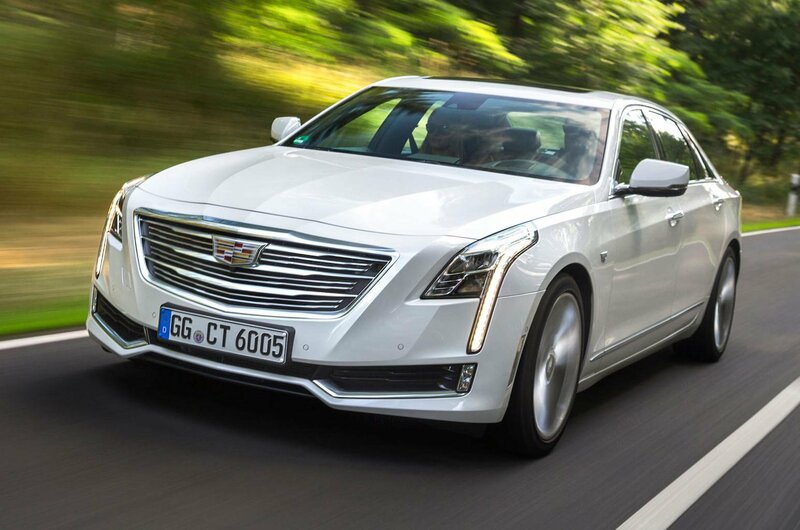 The first all-new model to arrive under this strategy is the Cadillac CT6. It’s a luxury saloon, similar in size to the likes of the Audi A8, BMW 7 Series, Mercedes-Benz S-Class, and Jaguar XJ. The XJ is most obvious rival to the CT6, because Cadillac has focused on the driving dynamics of the CT6 above all else. The CT6 is only available to order in the UK through one dealer, which is based in Virginia Water, Surrey. There is one engine option, a 411bhp 3.0 twin-turbocharged V6 petrol with an eight-speed automatic gearbox and all-wheel drive. There is also just one trim level, Platinum, and the car is only offered with left-hand drive. The CT6's £69,990 price makes it more expensive than entry-level versions of all its aforementioned rivals. What is the 2016 Cadillac CT6 Platinum like to drive? 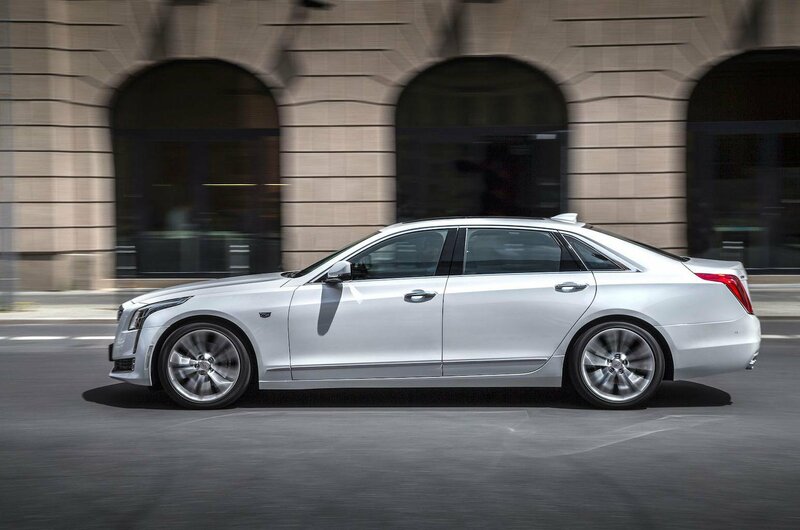 The CT6 is among the sharpest cars in its class to drive. The steering is nicely weighted and makes the car easy to place, and it feels surprisingly agile for a car of its size. It's akin to an XJ in this regard, which is currently the sportiest big saloon to drive . The Cadillac's ride is very smooth and comfortable. An S-Class remains the most comfortable car in its class, but the CT6 does a good job of offering a compliant ride along with its sporty drive. To that end, the CT6 is more fun to drive than the S-Class. There are three driving modes to play with in the CT6: Tour mode for normal driving, Sport mode for more enthusiastic driving, and Snow mode for when the weather turns. Driving it in Tour makes for a comfortable drive on the motorway, while switching to Sport stiffens up the adaptive suspension and steering, genuinely making for a sportier drive. 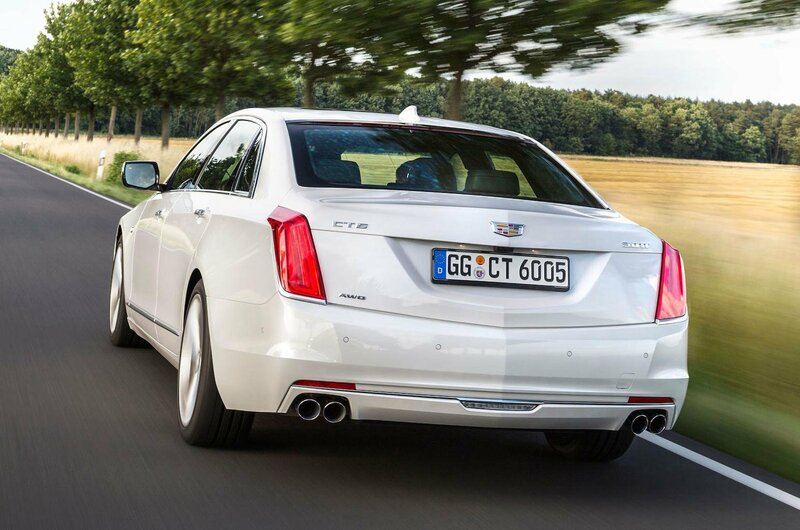 While the chassis may make the CT6 a sporty car, the engine is more of a disappointment. Despite impressive on-paper statistics, it never actually feels that quick in the way a Jaguar XJR or a V8-powered Mercedes S-Class or BMW 7-Series do. The Cadillac's eight-speed automatic gearbox is also quite slow to respond to you accelerating, and the engine noise doesn’t sound as good as the V8 engine options from rivals. What is the 2016 Cadillac CT6 Platinum like inside? The CT6’s interior, on first acquaintance, seems pleasant enough. The leather seats are big are comfortable, and there’s loads of space in the back for rear passengers, who also get digital screens to keep them entertained. A good driving position is easy to find thanks to the scope of electronic adjustability in the front seats. These are also heated, cooled and have a massage function. All-round visibility is impressive for a car of its size. 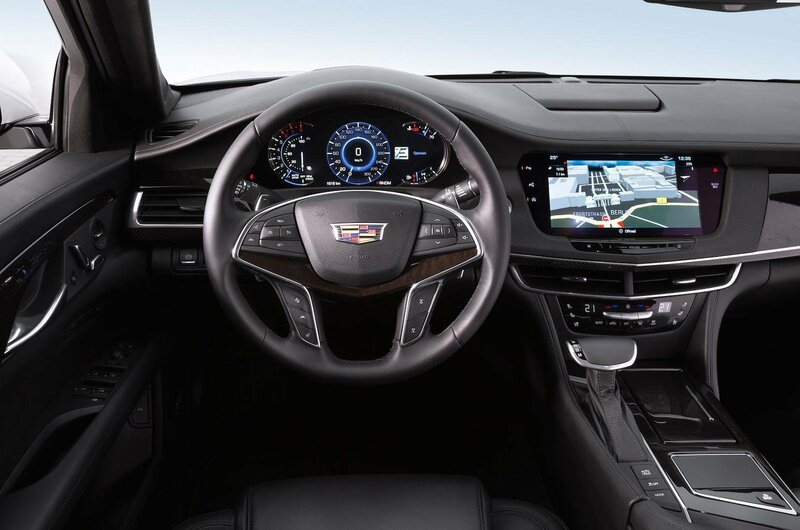 The Cadillac also has lots of technology included as standard, including a wireless charging pad for smartphones, a head-up display, a 10.0in touchscreen infotainment system, an Audi-style digital instrument display with navigation directions projected in your eye line, Apple CarPlay and Android Auto compatibility, and a rear view mirror that projects a wide-view camera image of what's behind you, for increased safety. However, while the list of technology is impressive, the interior lacks the overall quality feel of rival interiors from Audi, BMW and Mercedes-Benz. The CT6's interior feels like the kind that would be perfectly acceptable and indeed impressive in a smaller, cheaper executive car such as a BMW 3 Series, but it lacks the premium-quality fit and finish you’d expect from a £70,000 car with some of the material choices and the way it's held together. There is plenty of potential in the good-to-drive Cadillac CT6 as an alternative to the established norm in the luxury saloon segment. However, it's impossible to recommend in its present form. It comes only in left-hand drive, is more expensive than its rivals, is likely to suffer from huge depreciation and isn’t very economical. It might have stood more of a chance if it had a diesel engine, right-hand drive and a more competitive price, but until Cadillac addresses these issues, the likes of the Mercedes-Benz S-Class will continue to lead this class.